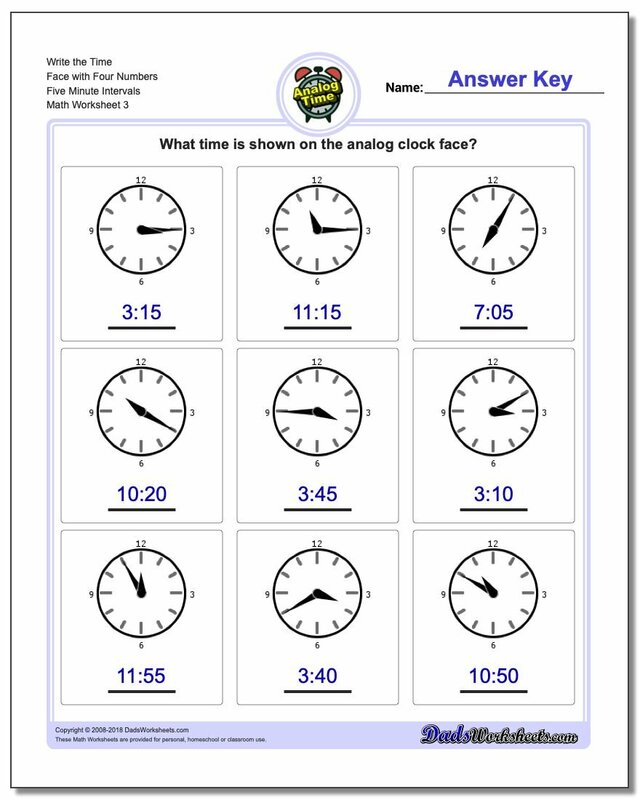 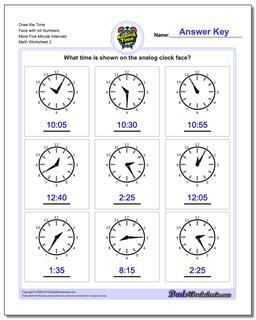 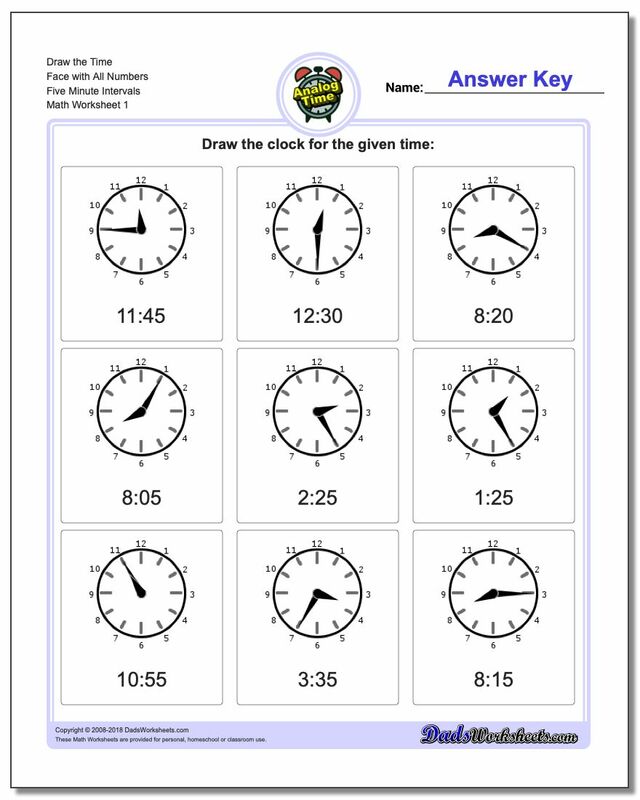 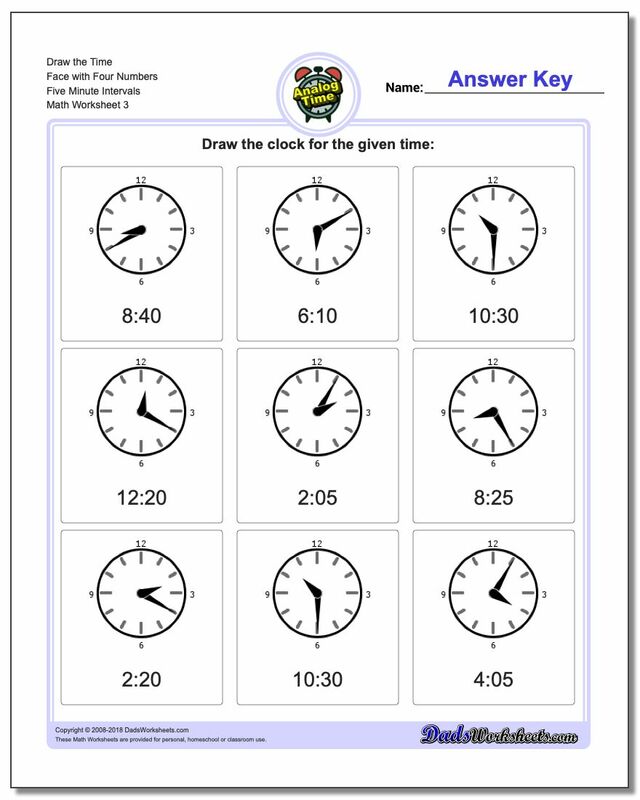 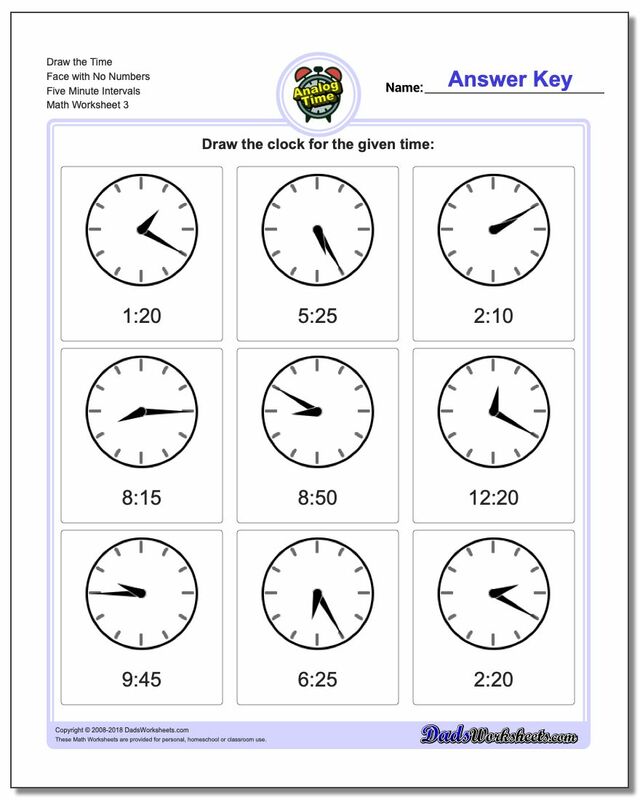 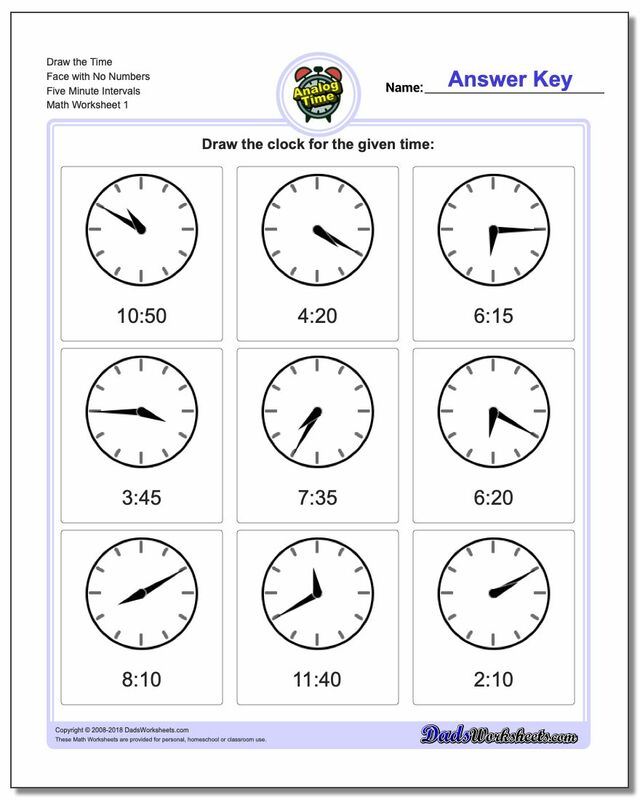 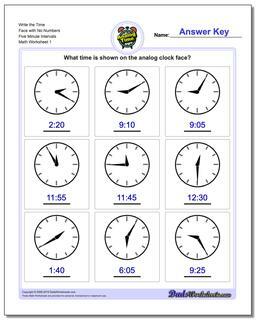 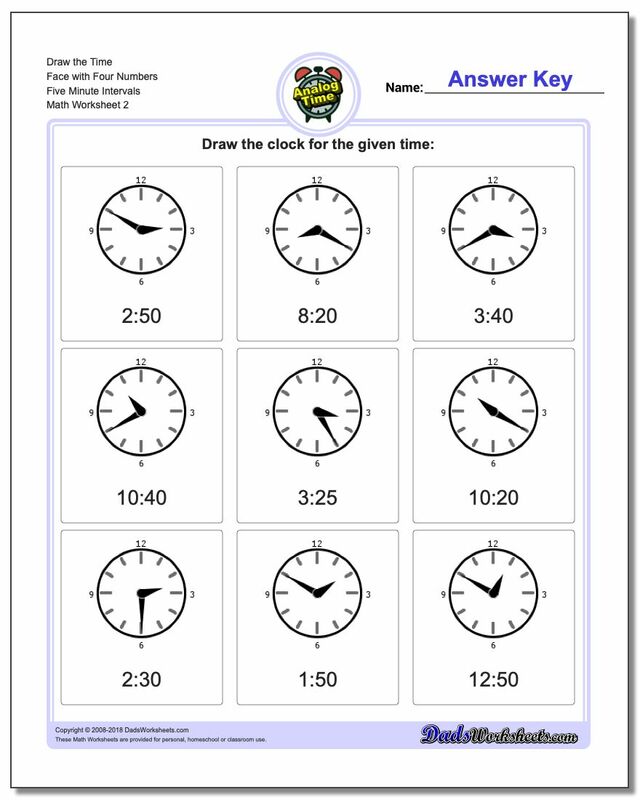 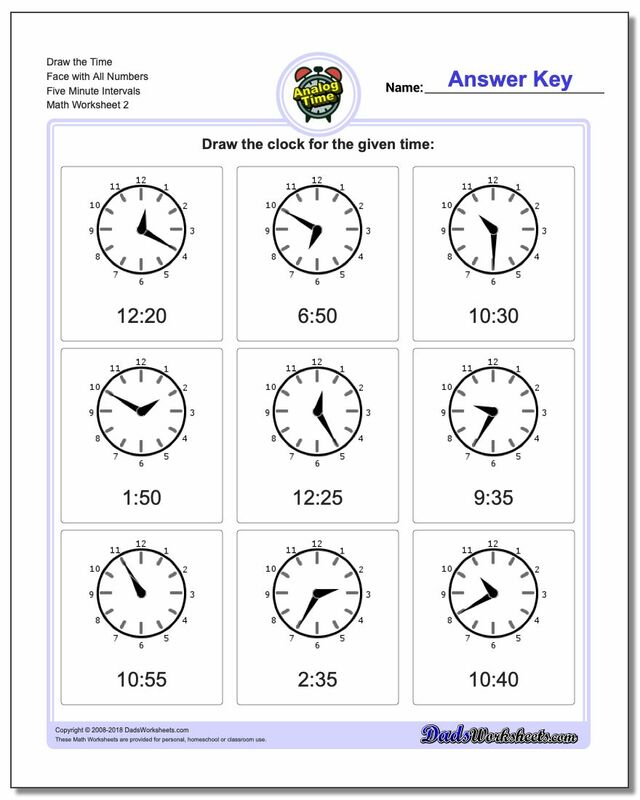 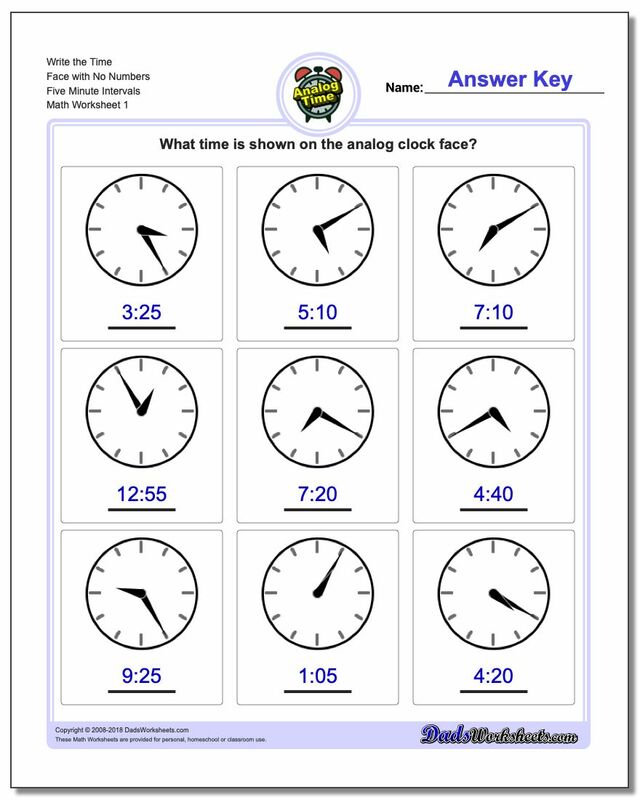 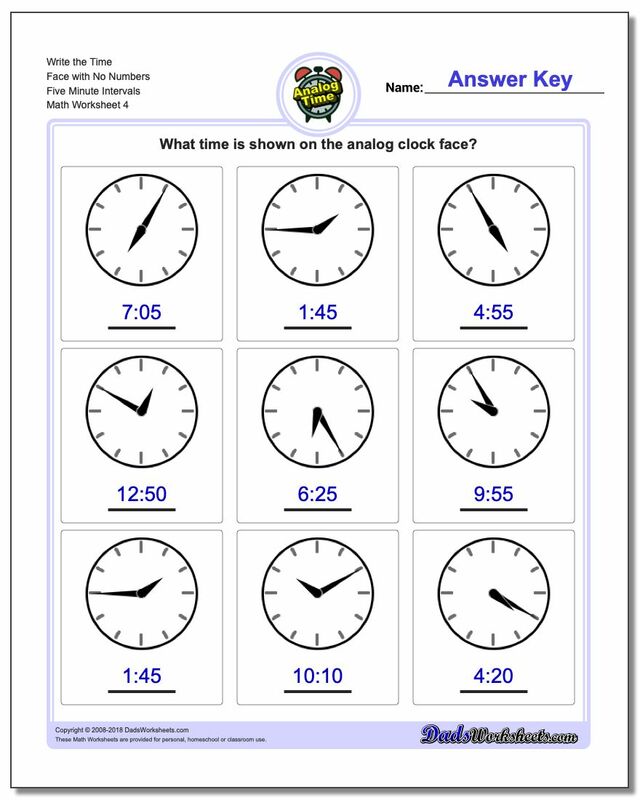 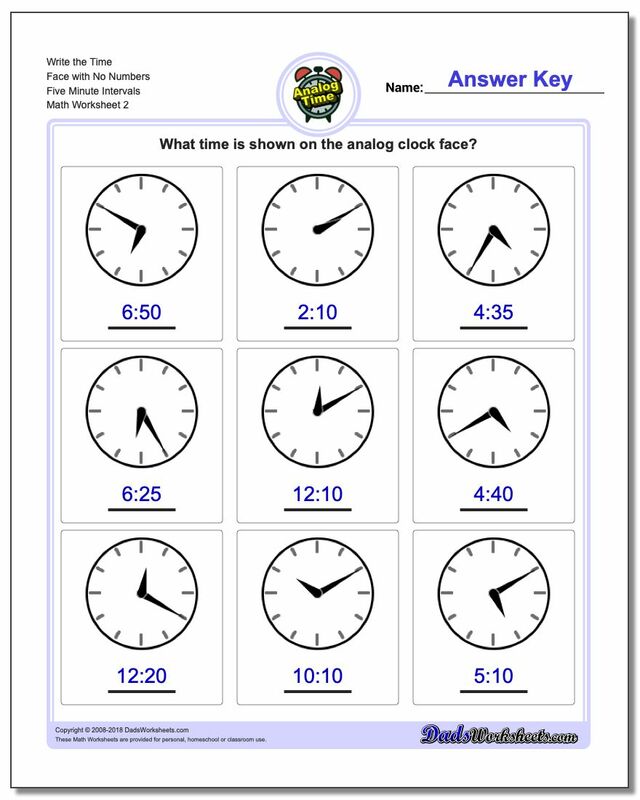 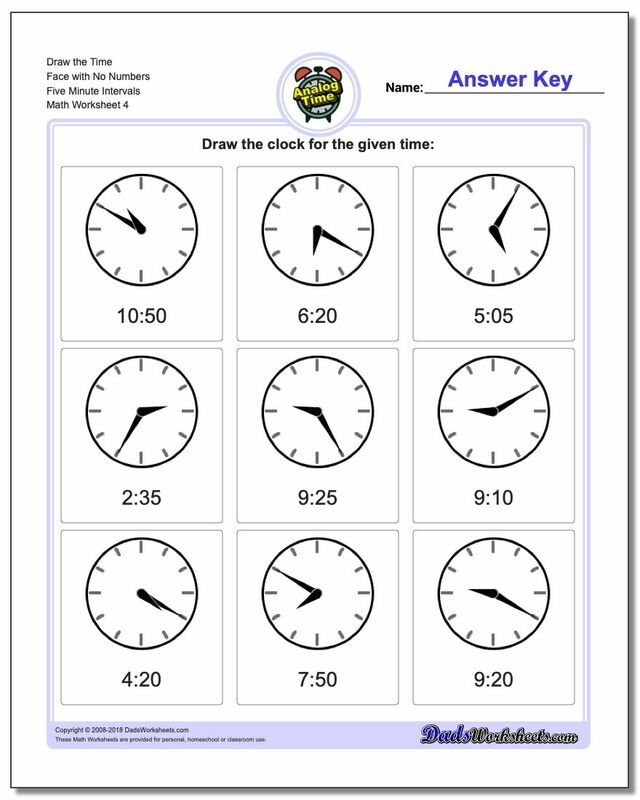 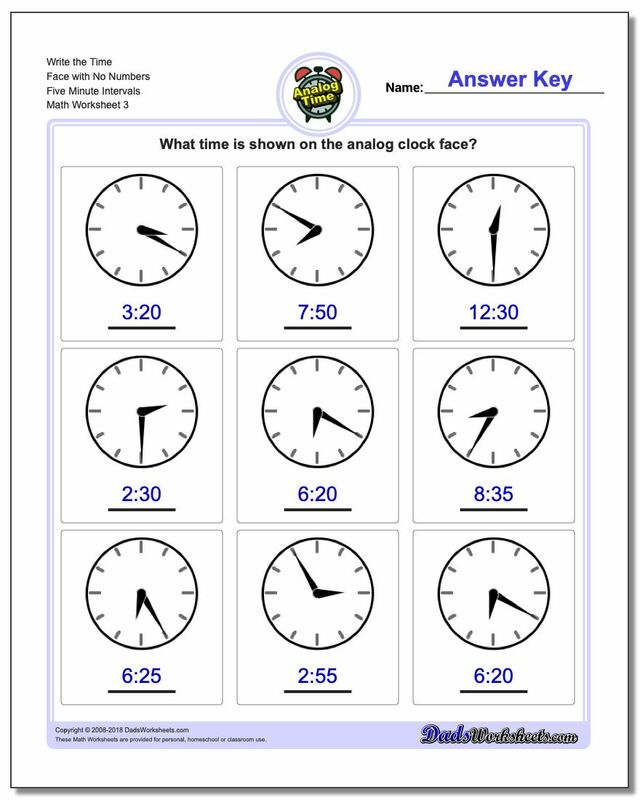 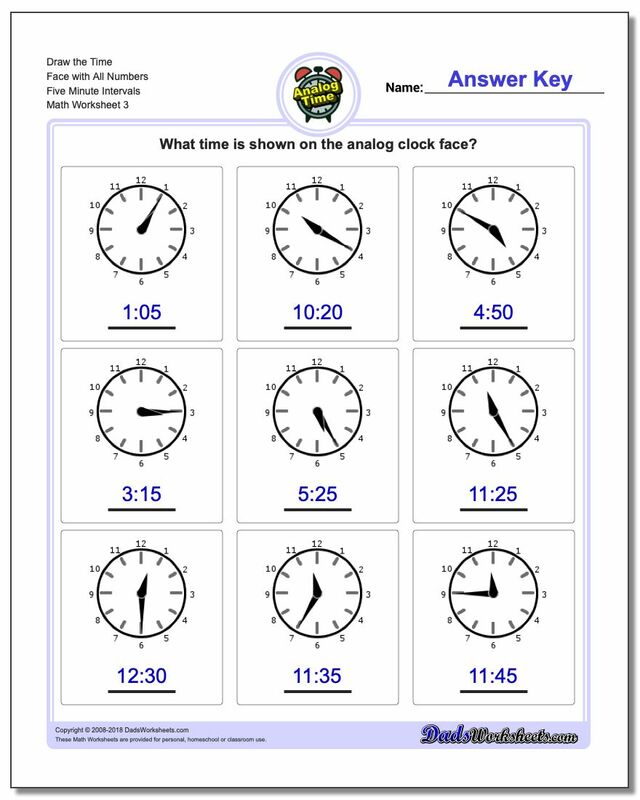 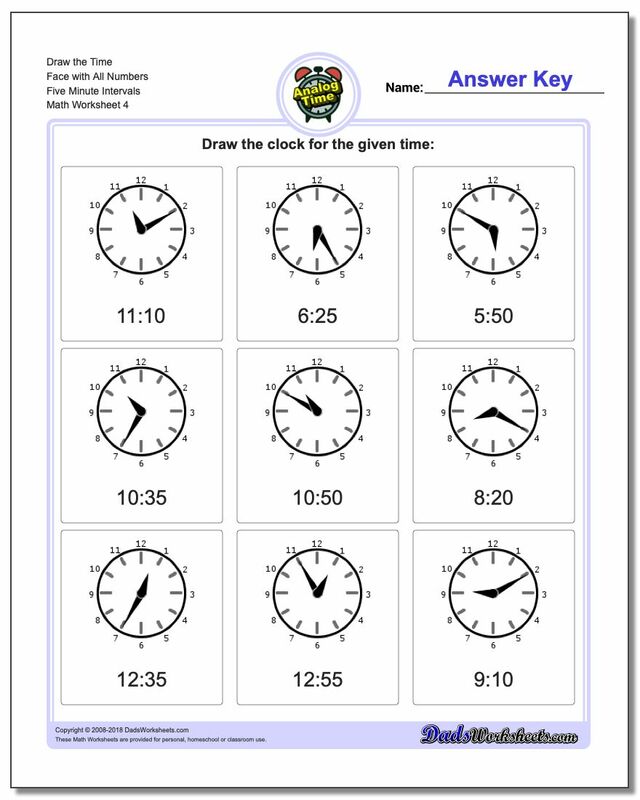 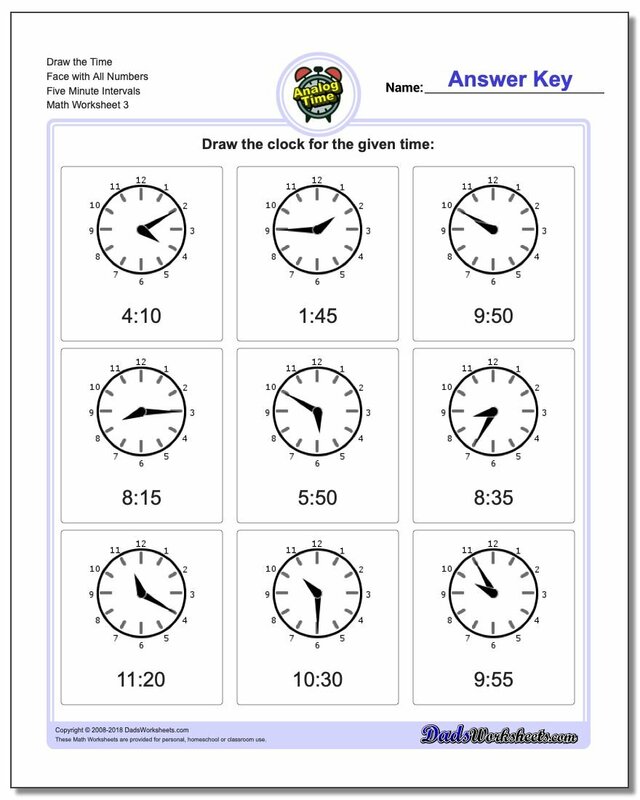 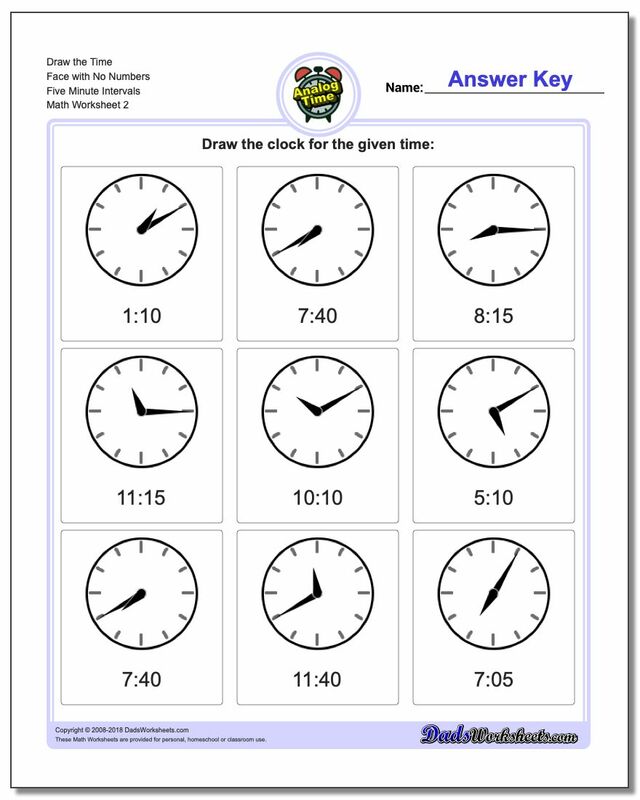 This section contains worksheets for telling analog clock times at five minute intervals. These worksheetes require kids to measure time on five minute intervals. Because the minute hand on these worksheets points exactly to the five minute marks on each clock face, there is no ambiguity about which time is being indicated. 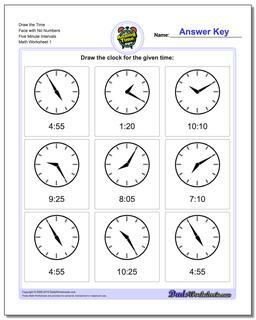 If you can master these telling time worksheets, then you've earned the right to wear an analog watch any place in public!